DHS - Youth Parliament begins today. Youth Parliament was officially opened today. This year, 83 young parliamentarians, aged 15 to 24 years, will debate issues that matter to them, including firearm restrictions, nuclear power, environmental management and mental health. Youth Parliament educates young people about the parliamentary process and bills created are formally presented to the government for consideration. Other topics that will be debated include cyclists, senior drivers, legalising cannabis and caged eggs. Youth Parliament will run until Friday 14 July 2017 and includes four sitting days at Parliament House, with debates open to the public. South Australians can show their support for the young people participating in Youth Parliament by attending a debate this week. The program includes young people from a wide range of backgrounds and cultures and is a wonderful opportunity for our future leaders to learn about parliament and the political process. This year, more than a quarter of the participants are culturally and linguistically diverse, and a quarter come from regional South Australia. Youth Parliament provides young people with the opportunity to develop skills and knowledge about parliamentary systems, voting procedures and public speaking. 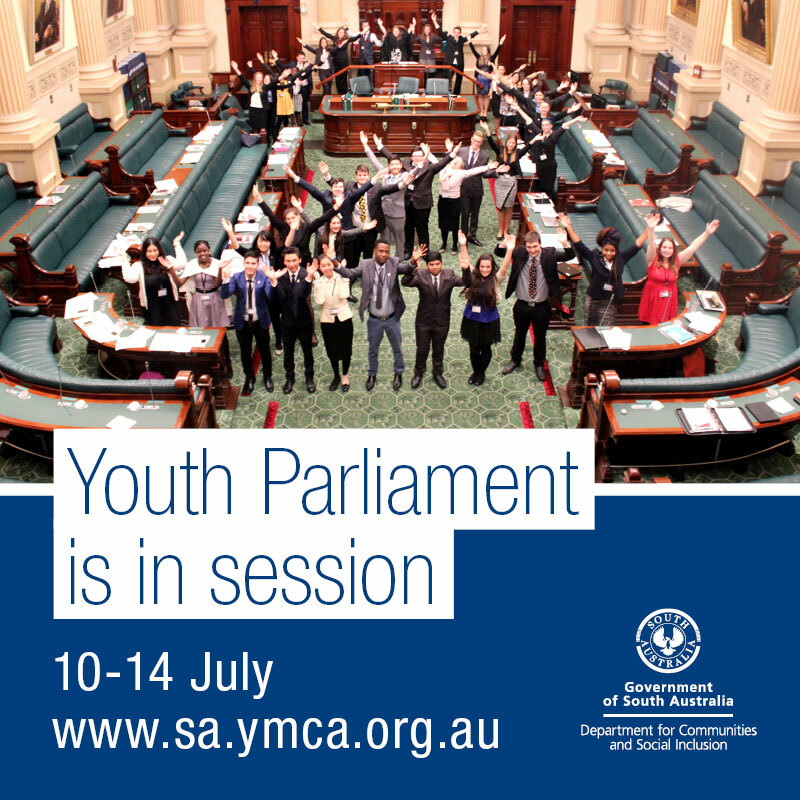 Youth Parliament is managed by YMCA South Australia and supported by the State Government, through the Department for Communities and Social Inclusion. Youth Parliament has been run for 22 years, and in 2017 the State Government provided $50,000 to YMCA to support the program.